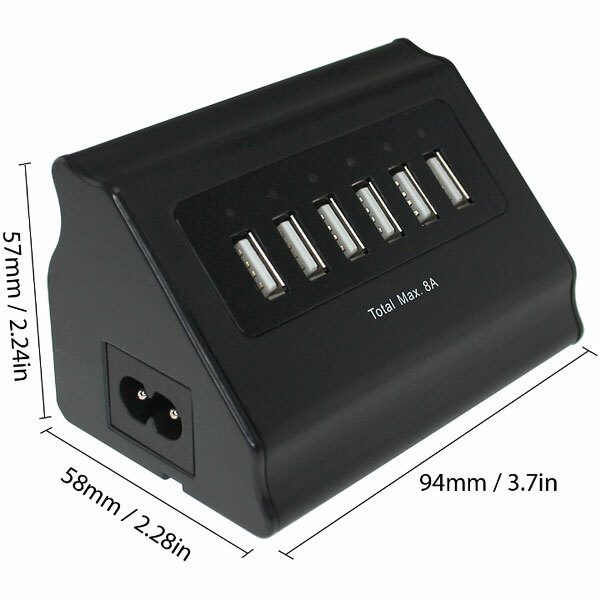 Click the button below to add the BlueKi 6 Port Universal Desktop Charger to your quick list. Don't like sharing? 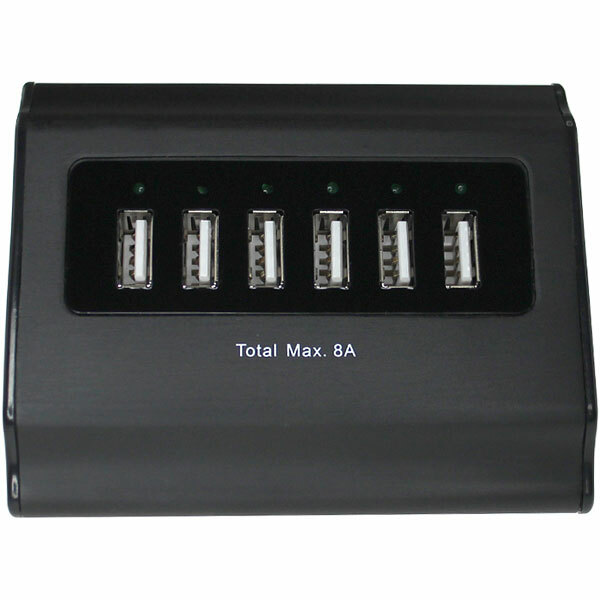 This universal 6-port USB charger could be just the thing to open up peace talks. This USB charger plugs directly into the wall and offers charging for up to six devices at once. 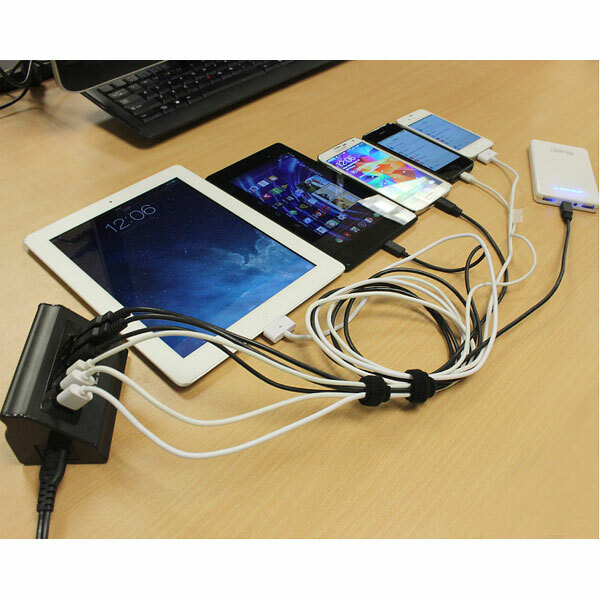 The shared 8 amp power means you don’t have to worry about iPads and tablets sucking up all of the juice. Four iPads? Two phones, two tablets? You’re still fine. 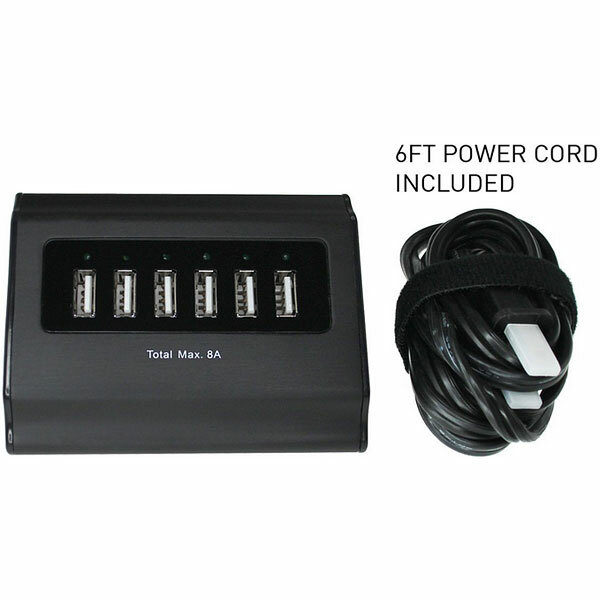 The long 6’ power cord also means you can position this charger safely in the neutral zone. 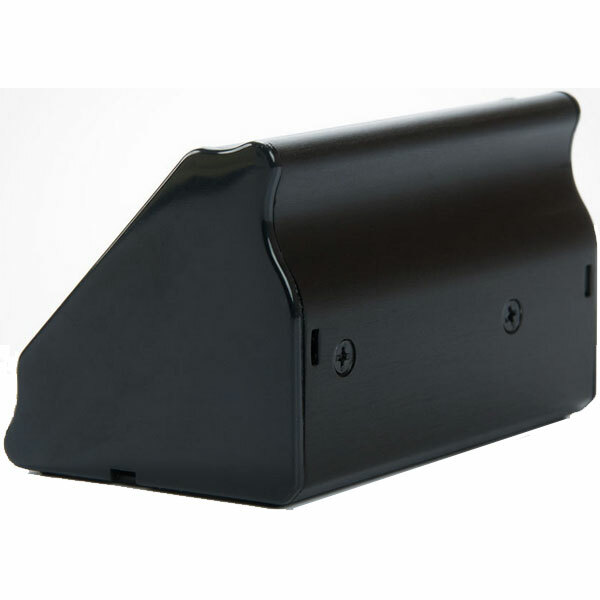 The charger has a wide base so you can set it solidly on any flat surface and the angled USB face reduces cable stress while devices are plugged in. 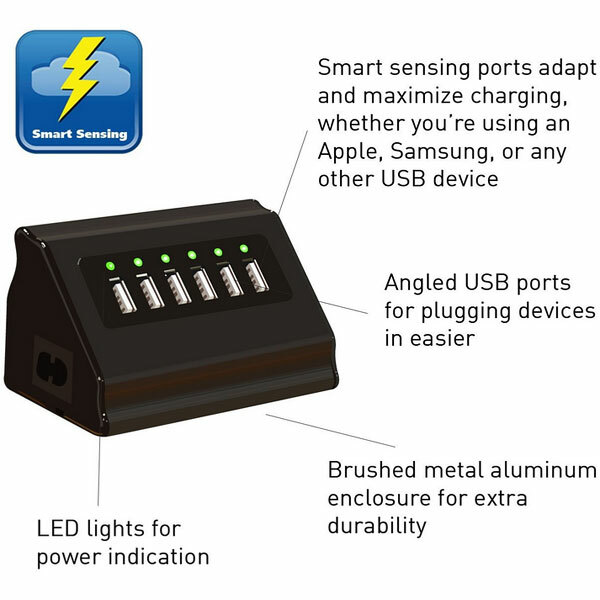 LED lights let you know when you’re charging and when you’re done. Over Current Protection 150% Max. Over Voltage Protection 5.6V Max.